After a nearly two-year hiatus, The Man In the High Castle is finally returning. Season three of the Amazon Prime series is slated to kick off on October 5th. In addition, Amazon has announced (confirmed) that the series has also been renewed for a fourth season. No word on when season four will debut. We can hope for 2019. What do you think? 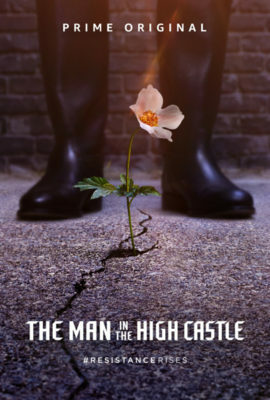 Do you like The Man In the High Castle TV show? Will you be tuning in to see season three in October? Do you think you’ll watch season four? The Man in the High Castle on Amazon: Cancelled or Renewed for Season Four?